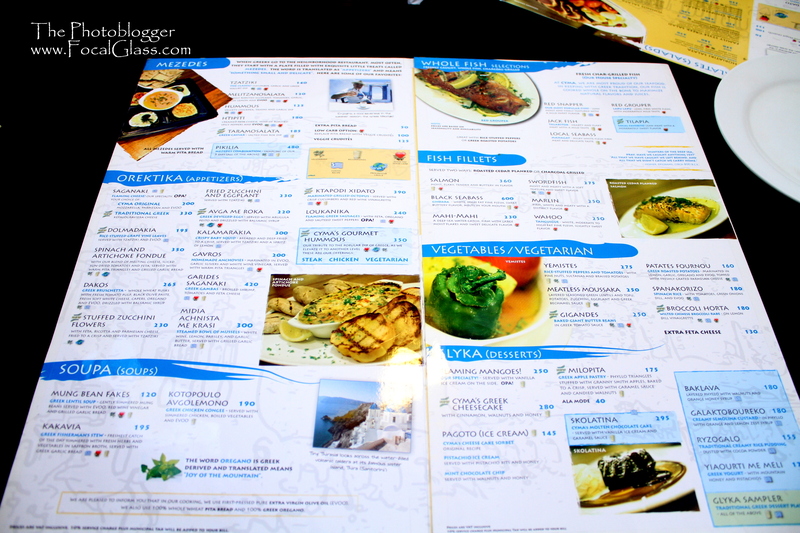 Cyma is the only Greek restaurant in Cebu that I’ve tried. I also do not know if there are other Greek restaurants. The restaurant is quite small but that doesn’t mean a big family like ours won’t eat there. The place has a nice feel to it. It’s so… white. 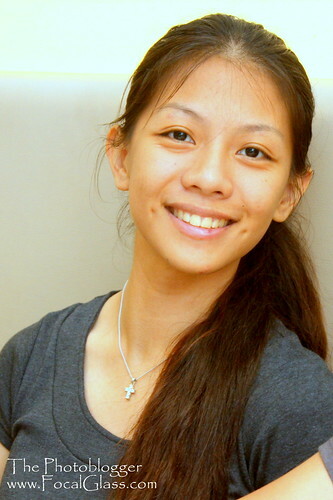 I also find the waiters’ uniform interesting: white long sleeve polo with white neck tie. We started the meal with a Saganaki-Mozzarella. 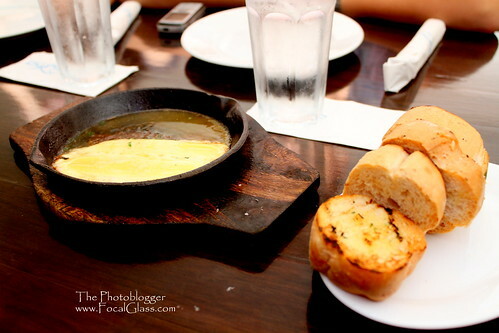 This was some kind of sizzling cheese with alcohol and bread served on the side. 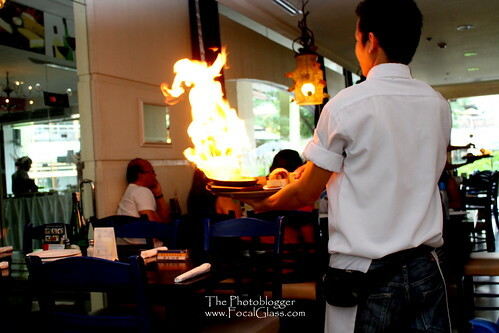 I didn’t really find this food that good (and note that I’m a cheese lover) but I ordered it anyway cuz it was one of those dishes that they serve with a huge flame and all the waiters in the restaurant shout: Opa! It’s worth 200php. I wonder if we only pay 50php for the cheese and bread then 150php for the entertainment 😛 only kidding! Then we also had some salad to the start the meal. Their salad was the family style Greek Salad. 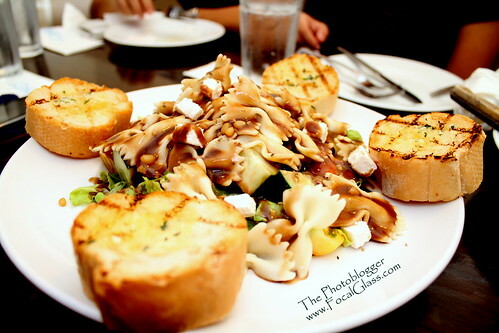 I enjoyed the large serving of salad which came with small bits of goat cheese (yum yum) the salad is priced at 430php. Family price too. 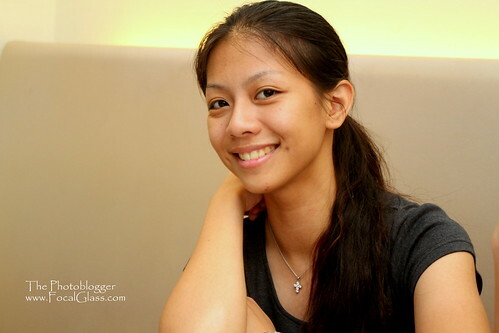 Then we also had the Dakos-Greek Bruschetta (265php). It looked like cinammon buns but it wasn’t. I loved the capers on top of it though. After which we had the Chicken gyros served with Greek potato. 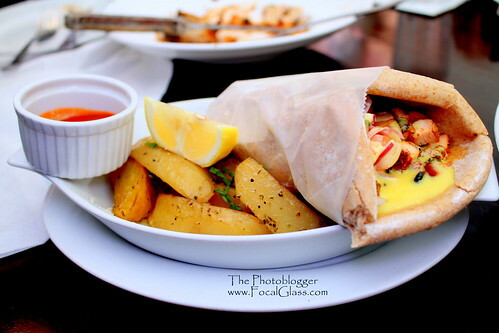 The Chicken gyros is priced at 160php. To add the potatoes just add 100php. I recommend the Chicken Gyros and if you’re one who likes spicy food just add a bit of the hot sauce that’s served on the side. 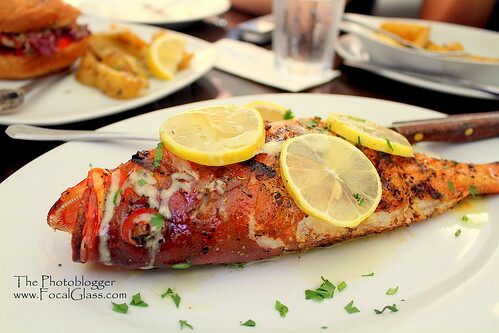 Mom had the Red Grouper (or what we locally call the Lapu lapu). 510php for 0.51 kilograms. Nothing really special with the way they served the fish though. 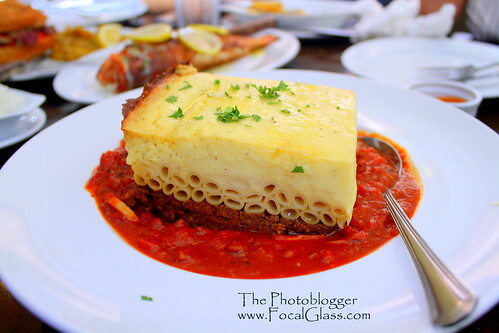 Then we had Pastitsio which was some kind of Pasta. It was okay but I’m not really a big fan of Lasagna or baked macaroni (which was what it was like). The last dish had to be the best one and my favorite in this restaurant. 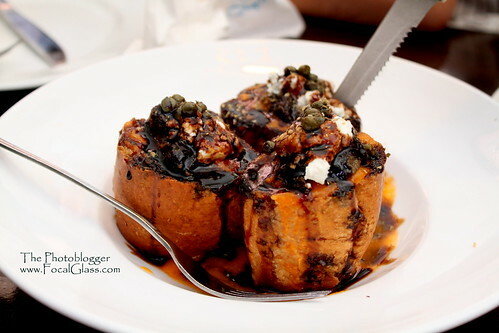 In fact, if I do go back to Cyma I will be ordering this dish again. Achi described this dish as “heaven in a plate”. This dish at 390php is the Greek Wagyu Burger. 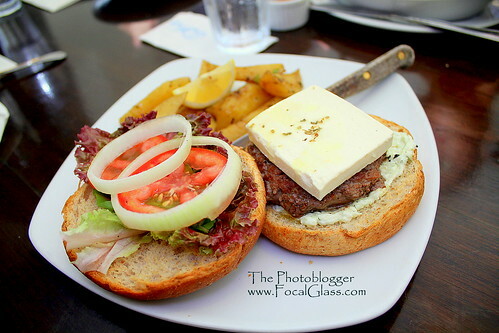 Unlike your usual American Burger this burger comes with a huge slab of Goat Cheese. This burger is what will entice me to go back to Cyma again. 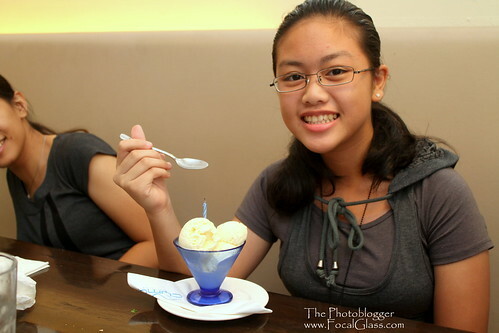 Luckily for Shobe it was also her birthday recently so the restaurant surprised her with a cute cup of ice cream. 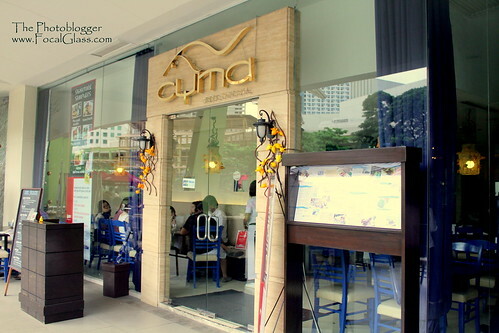 Cyma Greek Restaurant in Ayala Terraces is indeed the only Greek Cuisine restaurant in Ayala or maybe even in Cebu. I find their dishes interesting and most of them, superb. I highly recommend the Salad, Chicken gyros and especially the Greek Burger. And you can also check out some specialties that’s not on their menu. 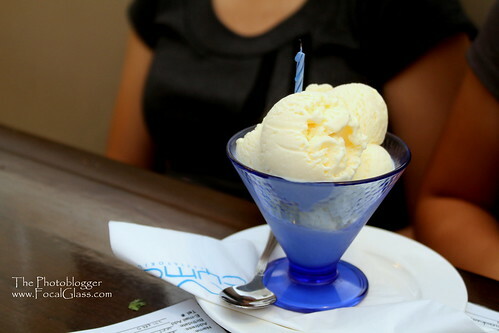 Of course this whole family nomnom session won’t be complete without achi’s peechurs. This entry was posted in Ayala, Cuisine, Greek and tagged Cebu greek restaurant, Cyma Greek restaurant, Cyma in Ayala, Greek cuisine Cebu.